Learn more about your legal rights relating to employment below. Is it illegal for an employer to discriminate against me because I have or have had cancer? Yes. Under federal law and many state laws, an employer cannot treat you differently from other workers in job-related activities because of your cancer history as long as you are qualified for the job. Your employer treated you differently from other workers in job-related activities because of your cancer treatment or history. Which federal laws prohibit cancer-based job discrimination? The Americans with Disabilities Act (also known as the “ADA”) and the Federal Rehabilitation Act prohibit some types of job discrimination by employers, employment agencies, and labor unions against people who have or have had cancer. Employees of state and local governments, federal agencies and Congress are also covered. Does every employer have to obey the Americans with Disabilities Act? No. The Americans with Disabilities Act covers private employers with 15 or more employees, state and local governments, employment agencies and labor unions. Does every employer have to obey the Federal Rehabilitation Act? No. The Federal Rehabilitation Act covers employers of any size that receive money, equipment or contracts from the federal government. These types of employers include schools, hospitals, defense contractors and state and local governments. The military does not have to obey either the ADA or the Federal Rehabilitation Act, although retired military personnel and civilian employees of the Department of Defense are protected. Which state laws prohibit cancer-based job discrimination? Every state has a law that regulates, to some extent, disability-based employment discrimination. Some laws clearly prohibit cancer-based discrimination, while others have never been applied to cancer-based discrimination. State laws also vary as to which employers—public or private, large or small—must obey the law. May a prospective employer ask me if I have ever had cancer? In most cases, no. Under federal law and most state laws, an employer has the right to know only if you are able to do the job at the time you apply for it. A prospective employer may not ask you about your health history unless you have a visible disability and the employer could reasonably believe that it affects your current ability to perform that job. An employer may ask you detailed questions about your health only after you have been offered a job. The ADA and many state laws prohibit discrimination based on genetic information relating to diseases such as cancer. For example, an employer may not ask you for the results of a genetic test or treat you differently because of your genetic history. What if I need extra time or help to do my job? Federal law and most state laws require an employer to provide you a “reasonable accommodation.” An “accommodation” is a change, such as in work hours or duties, to help you do your job during or after cancer treatment. For example, if you need to take time off for treatment, your employer may “accommodate” you by letting you work flexible hours until you finish treatment. An employer does not have to make changes that would be an “undue hardship” on the business or other workers. “Undue hardship” refers to any accommodation that would be unduly costly, extensive, substantial, or disruptive, or that would fundamentally alter the nature or operation of the business. For example, if you have to miss a substantial amount of work time and your work cannot be performed by a temporary employee, your employer may be able to replace you. In most circumstances, an employer does not have to provide an accommodation that would violate an established seniority system. The key to obtaining a reasonable accommodation is to ask your employer for a specific accommodation. 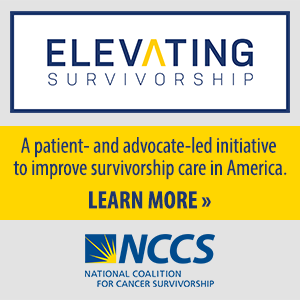 Employers provide most survivors the accommodations they request. (Breakaway from Cancer, 2006). Time-related accommodations, such as flextime and time off for doctors appointments, are the most desired accommodations. Working from home may also be a reasonable accommodation under certain circumstances. Regardless of whether I consider myself disabled, if I am treated differently because of my cancer history, do federal and state laws cover me? Are regarded by others as having an impairment. A disability is an impairment that substantially limits your ability to do major life activities, such as walking, breathing, and concentrating. The ADA also defines major life activities to include “functions of the immune system” and “normal cell growth.” Therefore, if your cancer substantially limits your immune system or normal cell growth, you have a disability as defined by the ADA. Moreover, if your cancer is in remission, you have a disability if your cancer would substantially limit a major life activity when active. Different state and federal laws define “disability” in a variety of ways. For example, you may have a “disability” under the ADA, yet not have a “disability” as defined by the Social Security Act. The application for or receipt of Social Security Disability Income benefits does not automatically bar an employee from making a claim under the ADA. The determination of whether a person has a disability must be made without regard to the effects of medication or prosthetic devices. Therefore, if you take medication that helps you do everyday activities, but who would be substantially limited without the medication, you are a person with a disability under the ADA. Similarly, if you lost a limb to cancer and have full mobility only with the use of a prosthesis, you are a person with a disability under the ADA. May an employer establish specific attendance and leave policies? Yes. The Americans with Disabilities Act allows employers to establish attendance and leave policies that are uniformly applied to all employees, regardless of disability. Employers must grant leave to cancer survivors if other employees would be granted similar leave. Employers may be required to change leave policies as a reasonable accommodation. Employers are not obligated to provide additional paid leave, but accommodations may include leave flexibility and unpaid leave. May I take extra medical leave without risking my job? In some cases, yes. The Family and Medical Leave Act requires employers with 50 or more employees to provide up to 12 weeks of unpaid, job-protected leave for family members who need time off to address their own serious illness or to care for a seriously ill child, parent, spouse, or a healthy newborn or newly adopted child. An employee must have worked at least 25 hours per week for one year to be covered. The law allows companies to exempt their highest paid workers. Employees may enforce their rights by filing a lawsuit within two years of any alleged discrimination. Requires employees to follow the employer’s rules regarding when vacation leave can be used as family and medical leave. May an employer discriminate against me because a family member has cancer? No. The Americans with Disabilities Act prohibits discrimination based on relationship or association with a “disabled” person. Employers may not assume that your job performance would be affected by your need to care for a family member who has cancer. For example, employers may not treat you differently because they assume that you would use excessive leave to care for your spouse who has cancer. Additionally, employers who provide health insurance benefits to their employees for their dependents may not decrease benefits to an employee solely because that employee has a dependent who has cancer. Most state laws, however, do not protect you if an employer treats you differently because a family member has cancer. What types of job-related activities are covered by the law? May an employer discriminate against me by failing to provide health insurance? Under some circumstances, yes. Employers are not required to provide health insurance, but when they choose to provide health insurance, they must do so fairly. For example, if your employer provides health insurance to all employees with jobs similar to yours, but does not provide you health insurance, then the employer’s refusal may be considered discrimination under the Americans with Disabilities Act. The employer must prove that the failure to provide health insurance is based on legitimate actuarial data (statistics) or that the insurance plan would go broke or suffer a drastic increase in premiums, co-payments, or deductibles. For example, if your employer is a small business that can prove it is unable to obtain an insurance policy that will cover you, the employer may not have to provide you the same health benefits provided to your co-workers. Every state has laws that regulate the insurance industry. For example, some states forbid insurance companies from considering your cancer history when issuing a new policy. Contact your state insurance commissioner regarding your state law rights. Additionally, if you have health insurance through a group plan at work, one federal law—ERISA—prohibits your employer from firing you to prevent you from collecting your benefits. Can an employer discriminate against me because of the results of a genetic test? No. The Genetic Information Nondiscrimination Act (GINA) prohibits an employer, employment agency, labor organization, or training program from using genetic information to make decisions regarding hiring, promotion, terms or conditions, privileges of employment, compensation, or termination. GINA protects employees from discrimination based on the result of a genetic test and information about a family history of a disease. It does not, however, protect employees from discrimination because on a manifested disease or condition. GINA covers the same employers that are covered under the ADA (those with at least 15 employees). An employee who has a genetic predisposition to a disease or condition may still qualify for family or medical leave and may participate in an employer-sponsored wellness program or other genetic services offered by an employer. The employment provisions of GINA take effect on November 21, 2009 and do not interfere with an employees right to protection under state genetic discrimination laws.